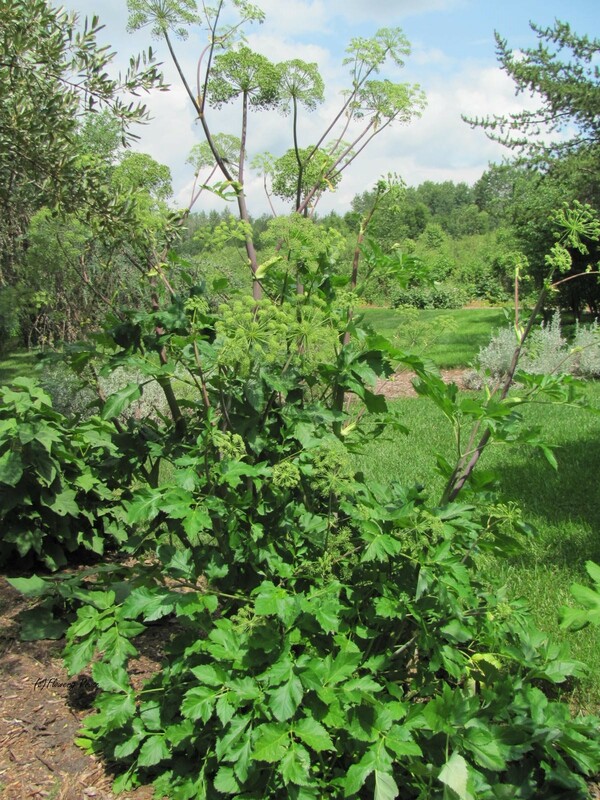 Many of you are probably far more familiar with this plant, Angelica archangelica, than I am…I’d never set eyes on one before I spotted this massive specimen on the grounds of the Devonian Botanic Gardens in Devon, Alberta. 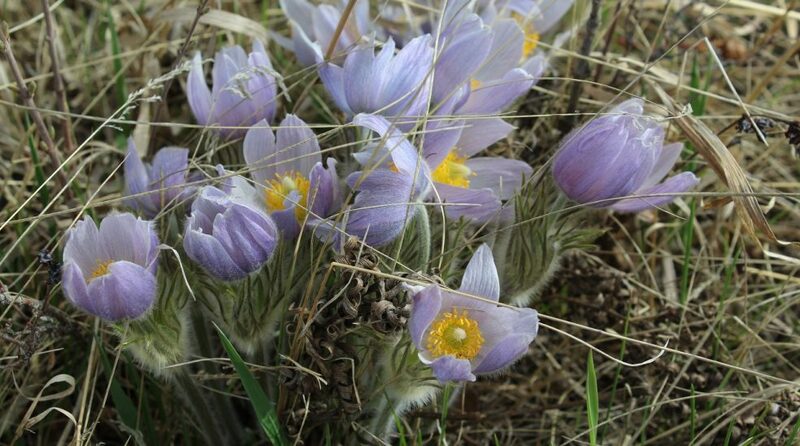 (Maintained by the University of Alberta, the Gardens showcase pretty much every type of plant you can possibly grow in this province. My hubby and I took a tour a couple of weekends ago, but it will likely be awhile before I get through the volume of photos we shot. There will definitely be more posts about our trip!). I find it fascinating that angelica is grown commercially (most notably in France) for the confectionary trade – apparently its stalks are candied and used to decorate cakes and other baking. I guess you can candy the leaves as well. (There is a recipe for candied angelica here, as well as some really interesting recipes involving reindeer meat and the herb). I also read that the stems and stalks are often eaten as vegetables, and that the seeds and roots are used to flavour liqueurs and gin. AND you can eat the flowerheads! What a versatile plant. If it wasn’t so insanely large (2 metres tall), I might consider finding a spot for it…. 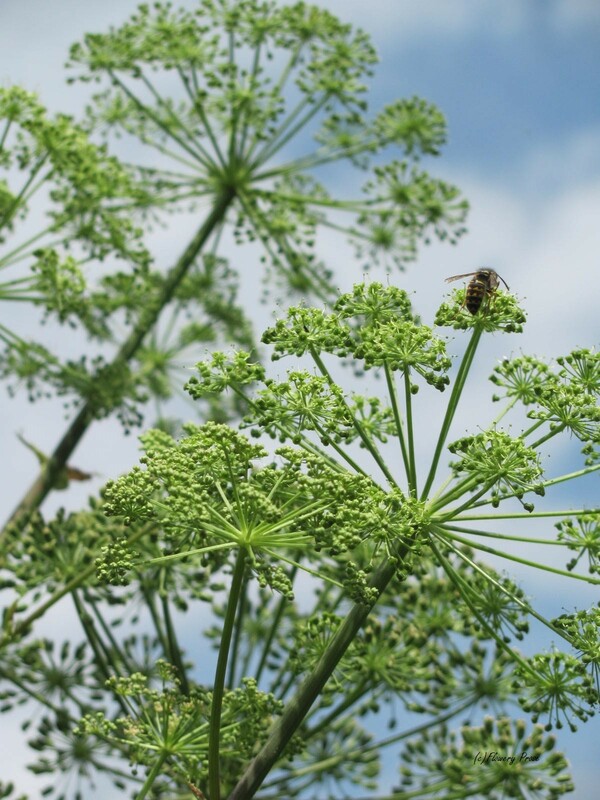 According to what I’ve read online, angelica tastes somewhat like celery – is that right? In my head, I’m lumping it in with lovage, another Apiaceae family member. A relative, A. sylvestris, is now on the noxious list of invasive plants in the Maritimes, and it is believed that it is only a matter of time before it makes its way west. From what I’ve read, it appears that A. sylvestris grows wild in many parts of the world and it is often used as a forage plant. I’m curious to find out more about this plant! Do you grow or know anything about angelica? This entry was posted in Botany, Flower, Food, Gardening, Horticulture, Outdoors, Photography, Plant, Vegetable and tagged Angelica, Angelica archangelica, Candied fruit, Garden, University of Alberta. Bookmark the permalink. I don’t think I have ever seen this plant. How interesting that it has so many uses. It’s really fascinating, isn’t it? Very interesting post! I had no idea that Angelica was edible! I have never seen Angelica in North America. I have seen and eaten it in France. I found the taste sweeter than celery, more like aniseed and fennel combined. It is often used for teas to relief stomach pains too. A gorgeous plant, maybe I should see if I can get hold of it in Ohio! Thanks for sharing. I didn’t know that angelica could be used to soothe stomach ailments – that’s very interesting, thanks so much for passing that along! I like that you mention that the taste is a little more licorice-y than celery-like – that seems to make more sense to me, given that it is used in confectionary. I love Angelica – both the plant and the candied type. We always used to have it on trifle at Christmas! The candied Angelica is very hard to find in Germany, so I planted one last autumn with dreams of making my own… it clearly didn’t like our winter, although it must be pretty hardy, as it didn’t reappear in spring. Perhaps I’ll try a spring planting next year instead. Lovely to see photos of the flowers. It really is a magnificent plant! I had no idea Angelica was so useful. 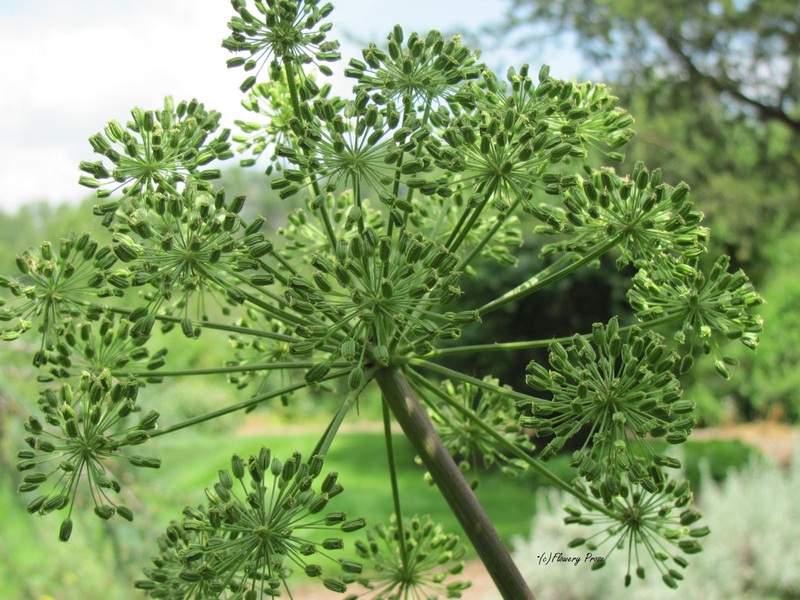 The angelica that I am used to seeing in my corner of the word is Angelica Shiny Leaf or angelica pachycarpa. I haven’t eaten angelica but would like to try some. I had to look up Angelica pachycarpa – it gets rather large as well, doesn’t it? http://www.finegardening.com/plantguide/angelica-pachycarpa-angelica.aspx What amazing glossy foliage! I read, though, that this type of Angelica isn’t edible, which is interesting as well. I didn’t know there were different types, both ornamental and edible. Thanks so much for telling me about this! Oh I thought the shiny one was edible 😦 . Just as well I didn’t nibble it! I don’t see it very often in gardens now. It is one of those plants that is considered old fashioned and perhaps it grows too large for most modern gardens. Thanks for reminding me about this plant. Years ago I tried planting seeds and it never came up, was very disappointed. had completely forgotten about it until now. I’m always looking for big plants as I have a large garden space and this will perfectly fit the bill. Thank you for following my blog. I hope you find something interesting and useful there. I love gardening but at the moment, I don’t have one. Only a little apartment deck. I look forward to reading more of your very informative blog. I’m so happy to have found your blog! Well, then. I’ll have to keep reading your blog to see what tips you have. I hate to do too much because I can’t bring it all in during winter and I have another move ahead next year. Thanks for reading and your kind words.